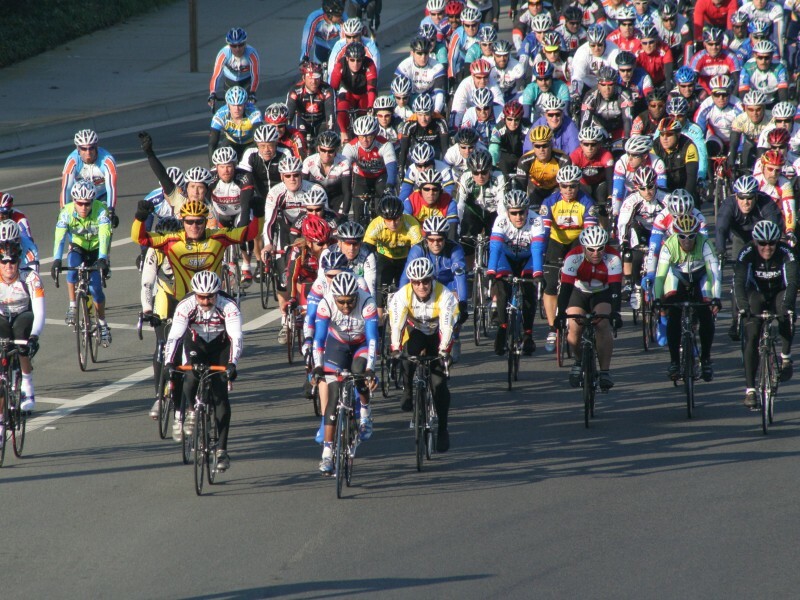 The Orange County New Year's Day Ride is an annual critical mass event that attracts hundreds of cyclists. 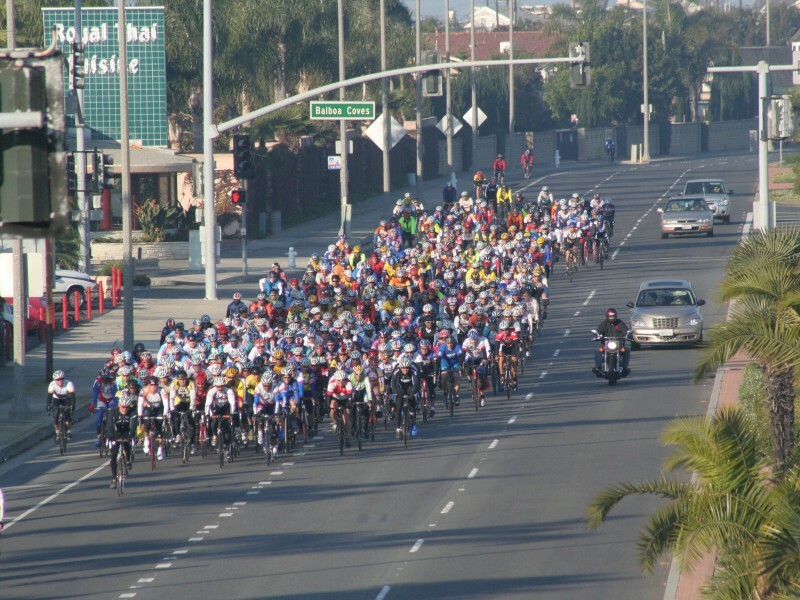 Many riders start at the Alamitos Bay Marina in Long Beach, just off Pacific Coast Highway. 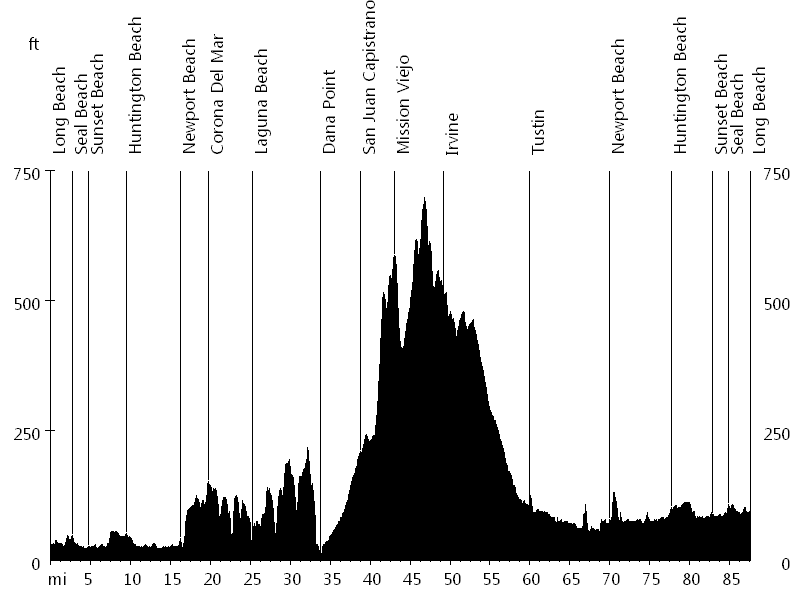 The ride follows PCH all the way to Dana Point, picking up new riders along the way while dropping some riders due to the fast pace. After a regroup and refuel, the ride heads inland, following San Juan Creek bike path, before hitting the hills in Mission Viejo. After another regroup and refuel, Trabuco Road and Irvine Boulevard continue on to Tustin. San Diego Creek bike path and Back Bay Drive eventually lead back to PCH, from where the route heads north to the starting point. Photos courtesy of Kenny B. 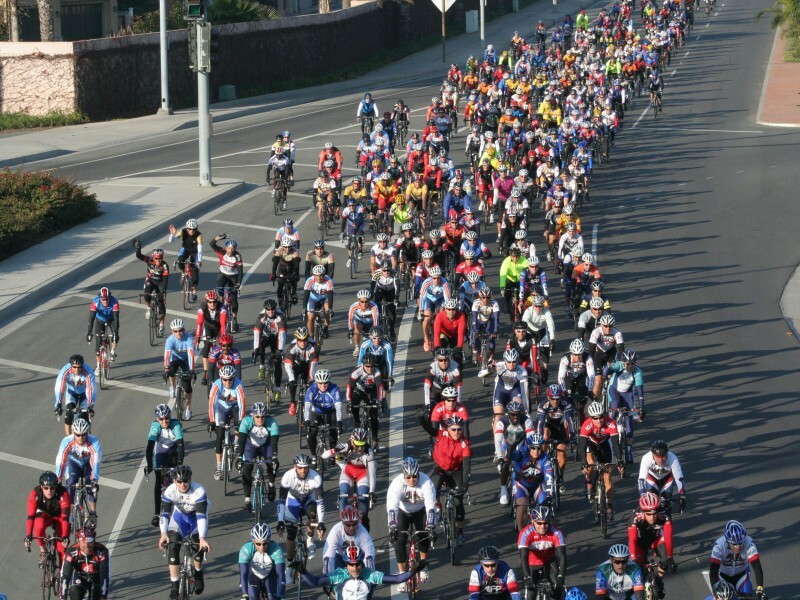 It is exciting riding with a few hundred cyclists at a fast pace. The ride is also known as New Year's Day Massacre, for obvious reasons.